Gaining quality staff and understanding how employees work together is vital to ensure productivity and innovation within any organisation. Human resources covers a wide range of duties including supervising staff, hiring and terminations, salaries and general well-being of employees. With a BSB50615 Diploma of Human Resources Management you could take on the role of a human resources officer and work with little direct supervision. 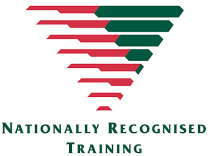 This qualification is designed to assist individuals working in a variety of roles within the human resources sector who have a sound theoretical knowledge base in human resources management and demonstrate a range of managerial skills to ensure that human resources functions are effectively conducted in an organisation or business area, such as HR administrator, HR officer, HR advisor and Manager. By completing the Diploma of Human Resource Management, more career pathways will open within Human Resources. This level is designed for those looking to step up to the next level of HR Leadership. The HR industry has grown significantly in Australia, with more career opportunities. Potential career paths include; Human Resources Adviser, Human Resources Manager, Human Resources Consultant or Senior Human Resources Officer.